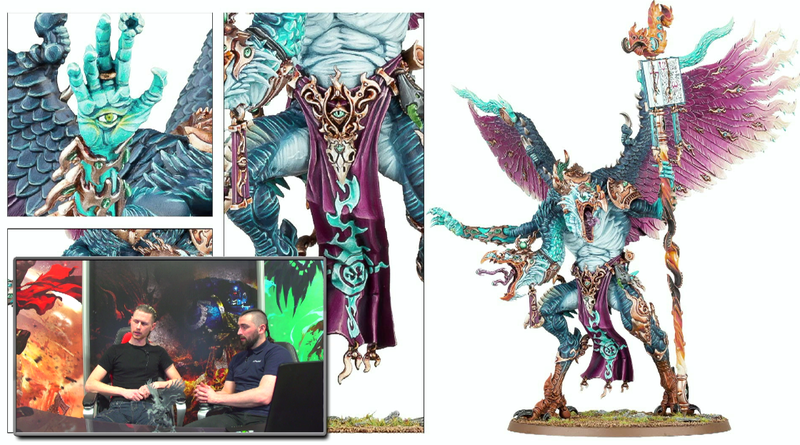 Yesterday Warhammer Live hosted an interview with Games Workshop miniatures designer and sculptor Mark Harrison with a specific focus on the yet-to-be-released Lord of Change. During the interview, Mark mentions how the original model from 1989 provided for the new release. 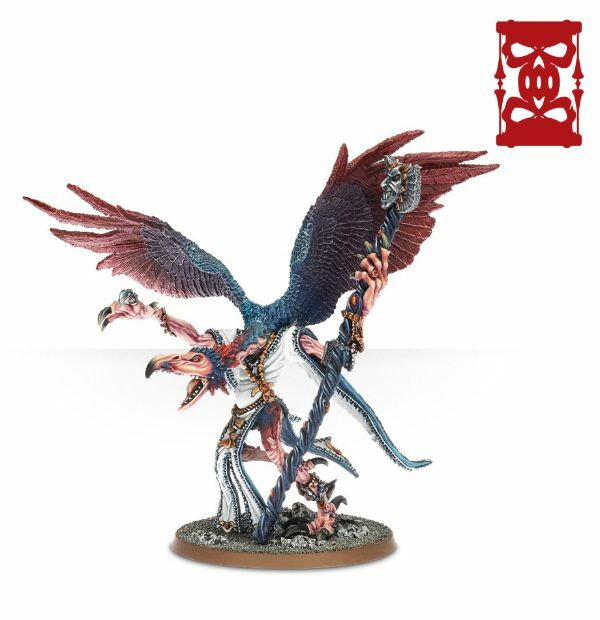 It speaks volumes to the iconic design of the Lord of Change being able to create a lasting impression as a twenty-year-old model that stood the test of time. This new model is next step in an evolution but is clearly rooted in the original concept. 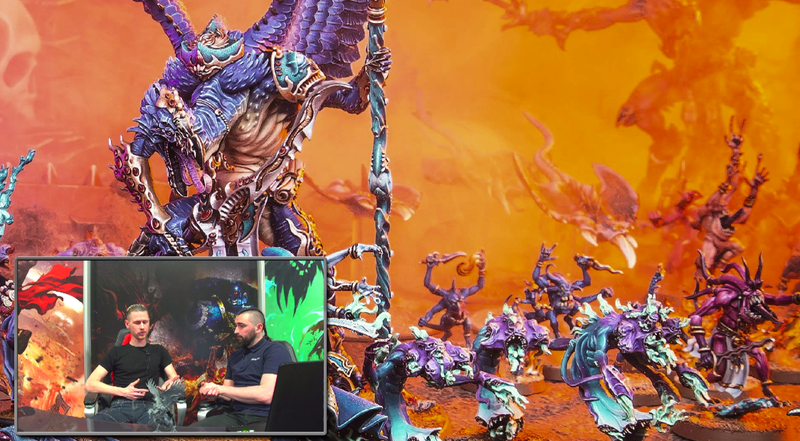 Mark also mentions that he took inspiration from the Tzeentch head on Archaeon’s dragon, Dorghar. 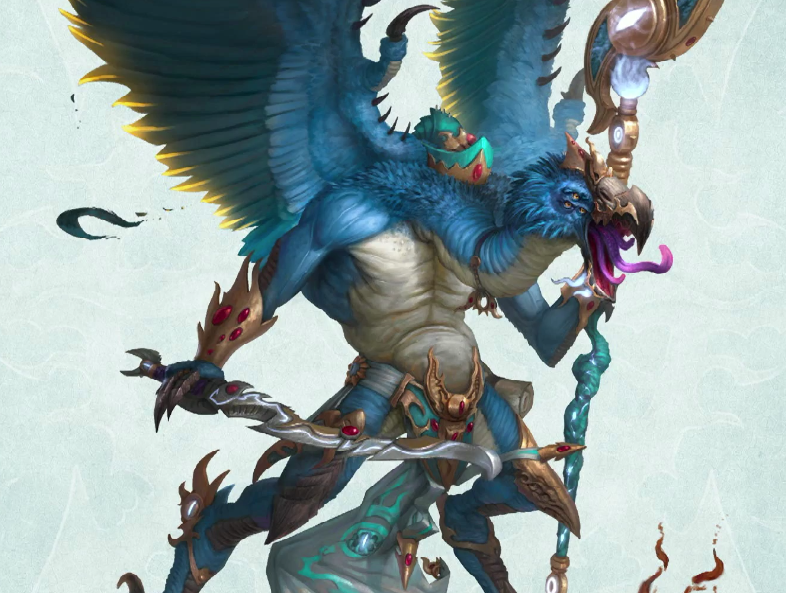 The new Lord of Change kit can be built as either a Lord of Change or as the special character Kairos Fateweaver. The kit comes with five head options including a skull head. Each of the heads can be used for either the standard Lord of Change or Kairos. For Kairos Mark added elements to make the model feel ‘older’ and ‘more ancient’ by lowering the heads and having the wings positioned lower on his back. Seeing the two models side-by-side, it is a striking difference. 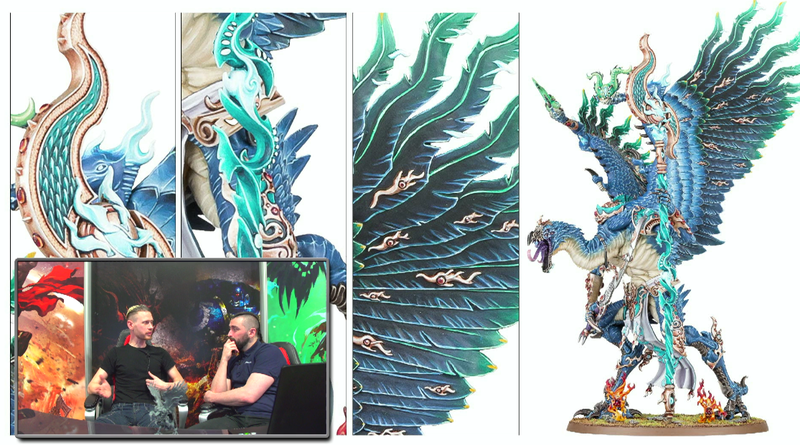 The raised head and higher wing posture on the Lord of Change achieves, in Mark’s words a “younger and more aggressive miniature”. The two wing styles and also be used at the same time, one high and one low, to create a “more dynamic position”. There are three different staff heads in the kit and the staff can be modeled in various positions such as upright planted in the ground or two-handed across the body. If the staff is held one-handed the other hand can hold a sword, a massive wand or a palm-forward open hand.There are various positions for this are as well; outstretched and pointing or close to the body. The tips of the wings can be altered, there are belt buckle options and options for the top of the model. I am blown away by all the options for building this kit. 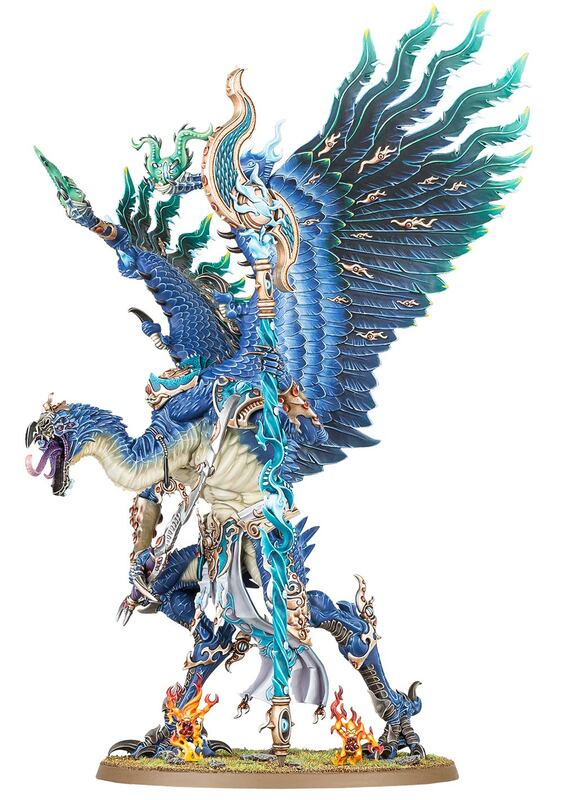 Usually, large models have one way to be built but that is not the case for the Lord of Change.